The number of foreigners visiting the northeastern state of Mizoram increased last year, with a larger number of US citizens than other foreigners stopping over in this state that borders Myanmar and Bangladesh, officials said. "Around 745 foreigners visited Mizoram last year, 87 more than the previous year (2011)," an official at the Foreigners Regional Registration Office (FRRO) told reporters. According to the official, of the total 745 foreign tourists, 138 were from the US, 104 from B ritain, and 78 from Australia. 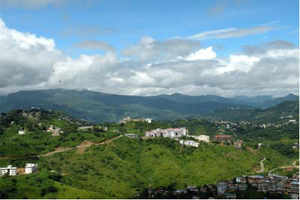 "In 2011, 657 foreigners, including 128 from the US, visited Mizoram," the official said, quoting the FRRO office records. "Foreigners prefer to visit the state in December and January because of chilly weather at that time in the region. But there are also tourists who like to enjoy the not-so-hot climate of June or July, when the monsoon is in full swing," the official said. The official said that the relaxation of the Protected Area Permit (PAP), a permit required by every foreigner who wishes to visit certain northeastern states, including Mizoram, would enable foreign tourists to travel more frequently around the state. The Union home ministry last month relaxed for another year the protected area rules in three northeastern states of Manipur, Mizoram and Nagaland. This would allow foreign tourists to visit these states without seeking the special permit. "The Foreigners (Protected Areas) Order, 1958, has been relaxed for one more year beyond Dec 31 last year to allow foreign tourists to visit the three northeastern states subject to certain conditions," the official said. The order of 1958 was first introduced with the aim of protecting the region and better preserving local culture. The rule was first relaxed in 2010, and has since been extended every subsequent year.